Woodhall Spa as can be guessed from its name was conceived as a Spa Resort and to this day largely depends on tourism for its prosperity. Visitors range from day trippers from across the region, to golfers, conference delegates and many others taking advantage of the local amenities. Oglee Guest House is just 5 minutes from the centre of the village. It makes for an excellent place to stay whether for pleasure as a tourist, for a family function or indeed on business. The village of Woodhall Spa is at the heart of what is often referred to as ‘Bomber’ County. By 1945 and the last few months of World War II the RAF and USAAF had 49 operational airfields in the county of Lincolnshire, with Lancaster bombers based at half of them. 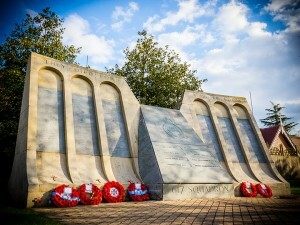 Many of the bases closed long ago, but in recent years several have become the home for aviation heritage centres or the site for Squadron memorials. Woodhall Spa is ideally located as a base to visit them. Most famous of them all is probably 617 Squadron, the ‘Dambusters’. 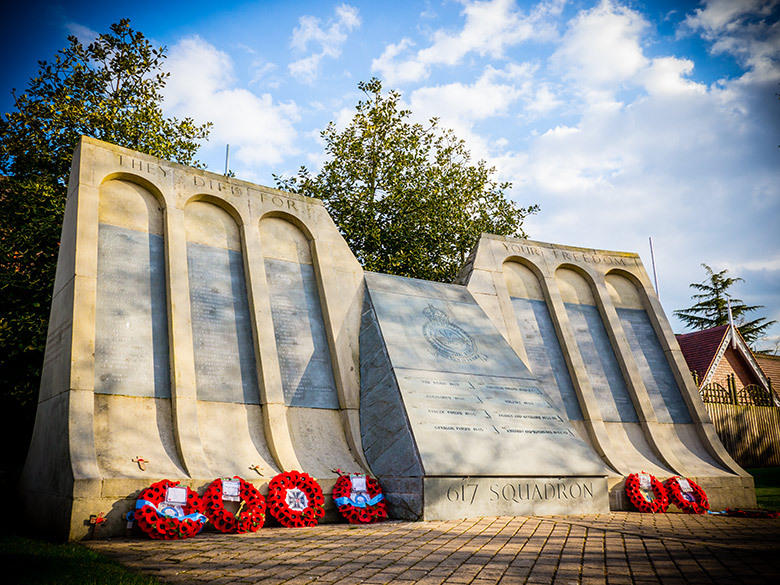 Woodhall Spa is proud to be home to the squadron memorial. Although originally based at RAF Scampton, 617 Squadron operated from RAF Woodhall Spa from January 1944 to May 1945. The Petwood Hotel was requisitioned by the Air Ministry to serve as the Officer’s Mess. It is, to this day renowned for its links to 617 Squadron and features a squadron bar where visitors can view photographs and other memorabilia. Royal Square, Station Road, Woodhall Spa LN10 6QL. Woodhall Spa’s Jubilee Park is a very popular destination for locals and visitors alike. 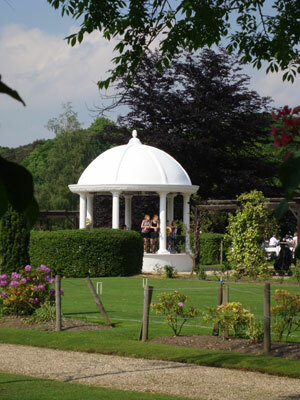 There a lovely traditional English gardens with a bandstand, pergolas and pathways adorned with roses. Park amenities include children’s playground, picnic area, bowling green, croquet lawn, cricket field, putting course, tennis courts and a cafe. The heated outdoor swimming pool opens from about mid-May to mid-September each year. A lovely place for a picnic! Jubilee Park, Stixwould Road, Woodhall Spa LN10 6QH. The “Flicks in the Sticks,” as Woodhall Spa’s famous Kinema in the Woods was dubbed by the hundreds of servicemen who crowded into it during World War II. It is unique and the only cinema in the country to operate by projection from behind the screen. Kinema in the Woods, Coronation Road, Woodhall Spa, Lincolnshire LN10 6QD. The Cottage Museum and the Woodhall Spa Tourist Information Centre can be found just off The Broadway. 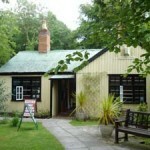 The Museum opened to the public in May 1987 as a community museum run by the Woodhall Spa Cottage Museum Trust. Its purpose is to preserve the community history of Woodhall Spa and surrounding district. There is a wide variety of exhibits which are regularly changed ensuring that no visitor will be disappointed by a visit to this charming collection. They include a wide range of photographs (largely based on the Wield collection) and memorabilia featuring the activities and development of the Spa. 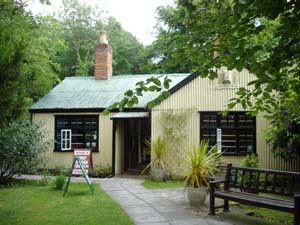 The Cottage Museum, Iddesleigh Road, Woodhall Spa, Lincs LN10 6SH. Tattershall Castle is one of the oldest complete buildings owned by the National Trust. It was the first castle, built in the 13th century on the banks of the River Bain by Robert Tateshale, which gave the village of Tattershall its name. Tattershall is just 4 miles by road from Woodhall Spa. The original castle was replaced by the current brick-built structure which stands today. It now includes an extension built in 1434-35 for Ralph Cromwell who served with King Henry V at Agincourt. The keep stands at 110 feet, and was restored in 1911-14 by Lord Curzon. Inside, the castle houses four vast chambers as well as smaller ancillary rooms. 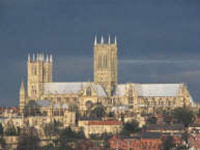 On a fine day Boston Stump and Lincoln Cathedral can be clearly seen from the top of the castle. In the castle grounds you will see peacocks strutting around. The bridge over the moat leads to the old guard house where you will find the castle gift shop and museum. Tattershall Castle, Tattershall, Lincolnshire LN4 4LR. 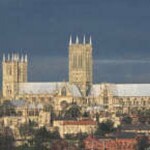 The historic city of Lincoln is within easy reach with its magnificent cathedral and fortress-like Norman castle, quaint streets and bustling shopping centre. 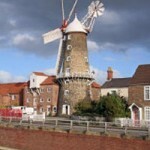 From Lincoln you can take a boat trip along the Fossdyke Canal that was originally built by the Romans. From Woodhall Spa you can also visit the Lincolnshire Wolds. 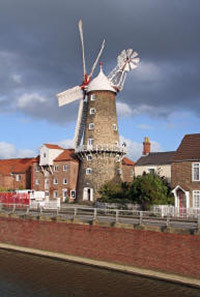 The many coastal resorts and villages such as Skegness, Chapel-St Leonards, Sutton-on-Sea, Mablethorpe, and to the south-east the attractive town of Boston are all within easy reach.